Where luxury fabrics, a designers eye, and a master seamstress will have you feeling your best. 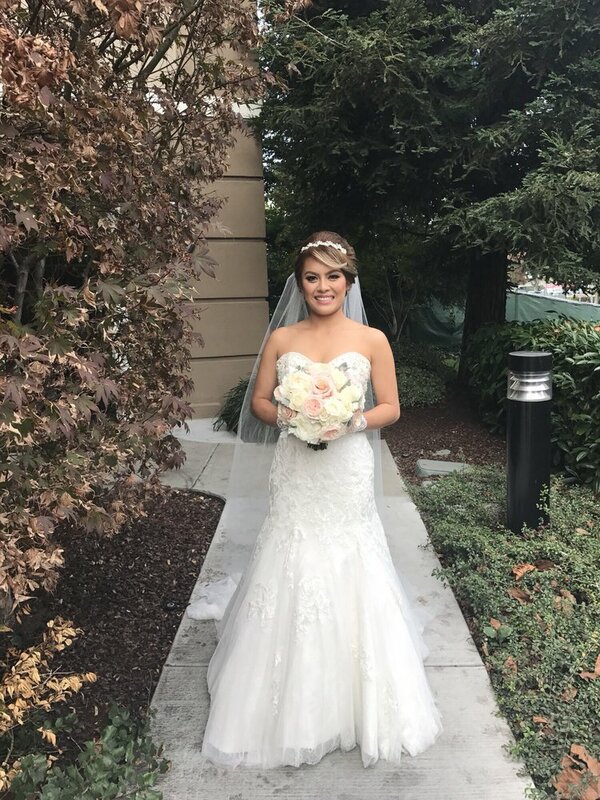 "My best friend found Sonthai through Yelp and she ended up getting her wedding dress from him. Then I brought my sister in law here and she also got her wedding dress here. It was her third dresses she tried and she fell in love right away. Sonthai is great and the great thing from his studio is his dress is customizable and all inclusive in his price. You know how alteration cost can add up easily and you'll just end up going over your budget. You don't have to worry about that with Son Thai. He'll make sure the dress will fit you perfectly! My cousin and my sister also ordered her dress from him this year. Son Thai helped my sister design her dream dress, after so many dresses she tried and couldn't find she really loves. So excited and can't wait to see my sister's dress." "I loved my wedding dress! Sonthai was straight forward and honest. If he didn't think I would look good in the dress he was able to tell me. I live in Salinas and had to drive to San José for my fittings so I made sure to always have an appointment for that! The only thing that I recommend is to always talk to Sonthai about what you want, I think he might not always write things down and might forget. For instance, when I picked up my gown I was given the wrong veil because he thought that was the veil that I wanted, although I had told him several times what I wanted. It was stressful, being that it was only a couple of days before my wedding but I called Sonthai right away and my friend that lives in San José was able to pick up my veil the same day. Sonthai was fast at getting me the correct veil and really apologetic for the inconvenience . I highly recommend this studio if you're looking for a beautiful wedding gown." "Sonthai is an amazing designer and really fun to work with. He's extremely knowledgeable and is a true artist. One thing I really liked, was that he knows what will look good on you by just looking at you while listening to what you want as well. I had an idea in my head, and he had me try on dresses that were similar, but gave me a dress that I never thought about before, but said it would look good on me...that ended up being my dress! So you never know! Try on dresses that he gives you even if it wasn't exactly what you had in mind-he know's what will look good on you and what won't. As many other reviews have said, he allows you to try on any of the dresses that you want, but you are totally allowed to add or take away anything that you want--in other words all the dresses are highly customizable. Also, if you are worried about pricing, he is willing to switch out fabrics or swap things in order to lower the price--he's very considerate and understanding. But keep in mind that his prices include fittings! Many other dress shops only include the dress and you have to get it fitted elsewhere, or there's an additional fitting. He will get you fitted until you are completely happy, its so worth it! Also, compared to other places especially considering that the dresses are made for YOU and are customized his prices are very reasonable! I got a modern styled dress with a keyhole neckline, custom buttons down the back, and a long cathedral veil with horsehair trim. I wanted a very simple but elegant wedding dress and that is exactly what I got! If you are wedding dress shopping, definitely give Son Thai's shop a try!"